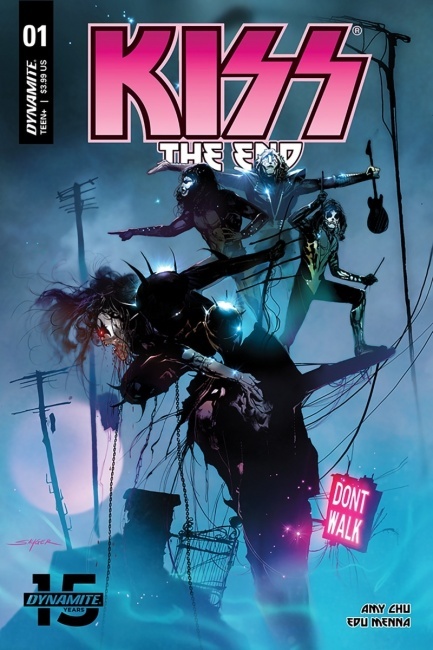 Writer Amy Chu and Dynamite Entertainment are marking KISS’s farewell tour with a rocking new series. 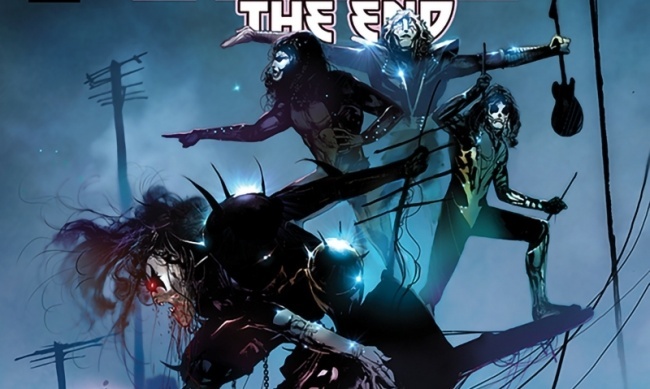 KISS: The End is drawn by Edu Menna (Twilight Zone, ZNation) and lettered by Troy Peteri (Amazing Spider-Man, Witchblade). The first issue, which is on sale in April, sports covers by Stuart Sayger (Vampirella vs. Reanimator), Jorge Fornes (Batman, Magnus), and Denis Medri (Red Hood/Arsenal), as well as a photo cover. KISS: The End follows a young man who may or may not be dead and his otherworldly guides: The Starchild, The Demon, The Spaceman, and The Catman. The series will draw from KISS’s real-world End of the Road Tour, which the band has billed as their final tour ever. Chu has been writing KISS comics for Dynamite since 2016 (see “Kiss Returns to Comics”), and her work has been collected into multiple trades (see “Preview: 'Kiss: The Elder Vol. 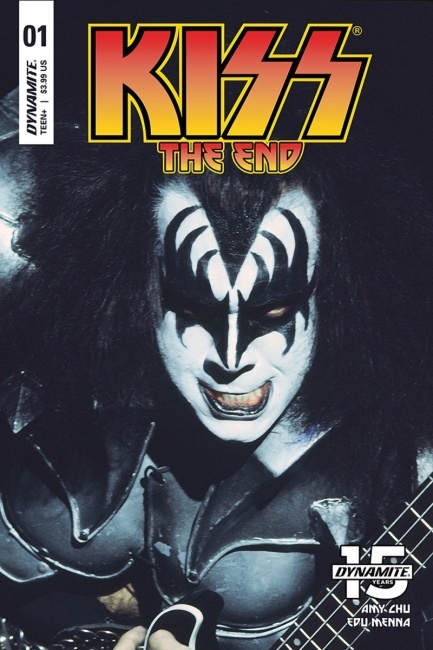 1: A World Without Sun' TP, Preview: 'Kiss: The Demon' TP, and Preview: 'Kiss: The Elder Vol. 2 - Odyssey' TP”).